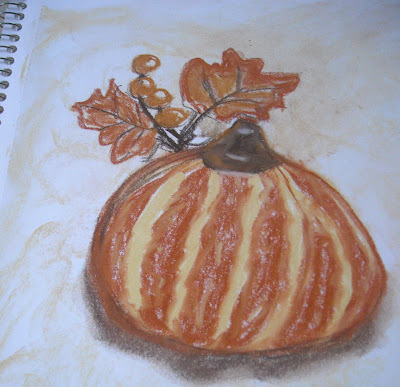 Don't ask me why...but I was suddenly, and without warning, hit by an urge to do something creative...so I walked out to the backroom where all the art stuff is stashed...my eye fell on some chalk pastels belonging to my daughter...I picked them up, grabbed my sketchbook, and sat down at the table and drew this pumpkin! You know, these pastels can make one feel like an artist even if one is not an artist! It is a glamorous feeling, and it was exceedingly fun. So in celebration of fall, and dropping temperatures for those of us in the south, or west...here is my cute lil fall pumpkin! BTW... I was out looking for some mulch (I have never really ever used store bought mulch before,as I have used leaves, pine straw, and grass clippings in all of my prior life)...and of course, being as cheap as I am, I asked a lady who was also there in the mulch area what I should get, and of course I was really wanting something cheap. She said, "Well, I heard that eucalyptus mulch is really nice smelling, and helps to keep insects away from your yard, but it is more expensive". When we checked it out, it turned out to be the least expensive. I bought two bags and man does my front yard smell good! Surprises in the mail and new pepper plants! 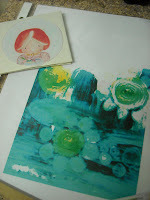 I was so surprised to recieve a BIG giant package in the mail from Yoon See last week!!! 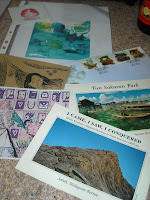 It was full of her artwork, some postcards of places of such beauty in her homeland of Malaysia, and some stamps (first day issue on an envelope and with an informational sheet inside), and a little tiny sketchbook she created...handsewn and with her original artwork on front!!! WOW! All the way from Malaysia too! Thankyou so much, Yoon See! I love it all so much! The stamps are something I will always treasure since I collect world stamps! My collection is mostly of used stamps, but I do also have some specialty stamps (like these that Yoon See sent) that are all grouped together or on a special thing (like this envelope)! One of these days I will show you all my stamp book! 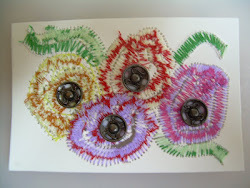 I think it is such fun...and my cousin taught me how to work on my stampbook in the dark (a very special talent) DURING HURRICANES!!! LOLOL! You have to wear a headlamp, so both hands are free, and you can see at the same time. I sure hope we don't have one this year, even though I am fully prepared to work on my stamp collection in the dark! Ha ha ha! Anyway...I can never thank you enough, Yoon See, for all of these treasures...I am looking for the right frame for the biggest artwork right now!!! 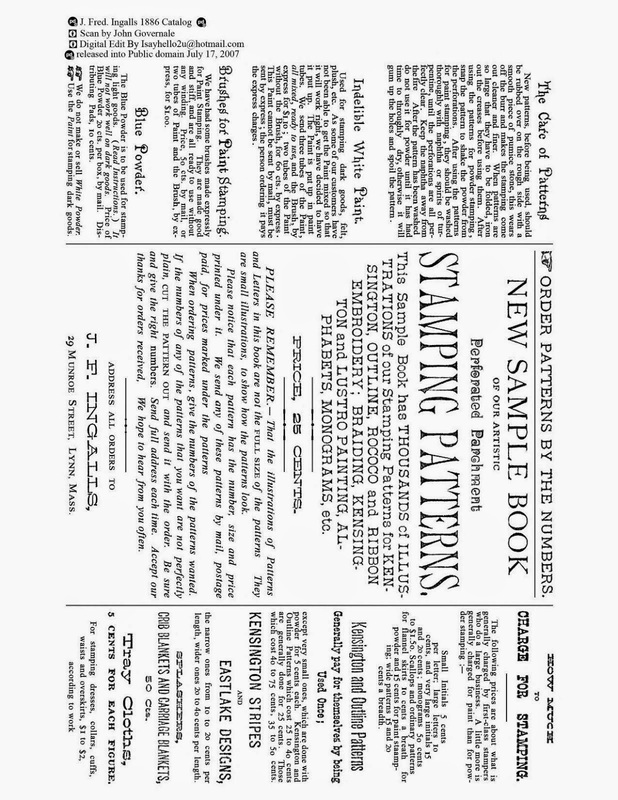 Click on images to make large...for more detail. 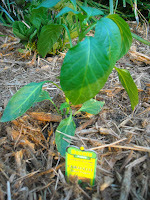 Here are some of my new pepper plants that I got planted last night after work! 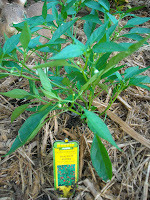 I have 1 Thai red chili pepper (I like a LITTLE BIT of heat at times, in my food. Then I got 2 Cubanelle peppers, and 3 Banana peppers. It will be fun to watch them grow and produce. I ended up planting them by my front door so I can keep an eye on them and water and fertilize often! I hope no one passing by decides to steal my peppers!!! My house is set way back, and sort of on a hill...from the road...so maybe they will be safe! Hello! I have had a sudden burst of energy the last few days and I can only blame it on increased fruits and vegies in my diet. Oh, and the late night naval orange (freezing cold from the fridge) that I eat each night!!! I have a new Green Grocer market right at the end of my road, and I am visiting at least every other day, buying all kinds of goodies. He has not only the fresh of what you would expect, but also has ...locally gathered honey, a cooler full of fresh herbs, bags of beans and seeds and nuts, and jams, jellies, and salad dressings. It is just a clean, fun place to visit. Consequently, I am eating healthier, adn so is my family. Yeah! 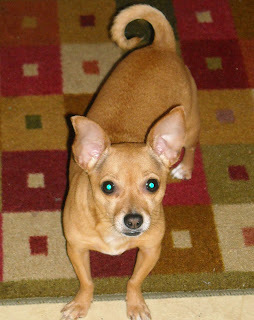 I took Doozey for a long walk this morning at 5am, then came home and visited some of your blogs! It feels so good to have my internet back! I fell back to sleep till 10am, then went to Home Depot and bought 6 pepper plants...one thai hot pepper, 2 cubanelles, and 3 banana peppers! I will get them planted tomorrow. I am thinking of making pickles out of them...well, maybe only using the hot ones in teenie quantities for seasoning reasons only! 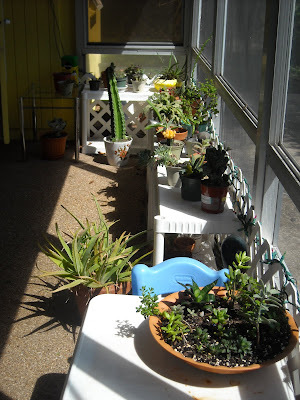 Before I went to HD, I got the shelves cleaned off and re-organized that hold my screenroom succulent plants. They look so much nicer now. I took a long shot of the area so you could see. 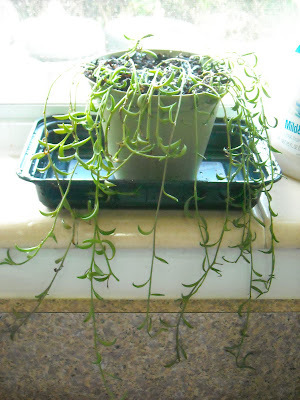 I had two pots of these String of Bananas, and they were all long and straggly...so I cleaned them up, trimmed and repotted all into one pot, along with all of the cuttings...and placed them in the kitchen window to monitor. I took a pic so you could see how cute the little bananas are! 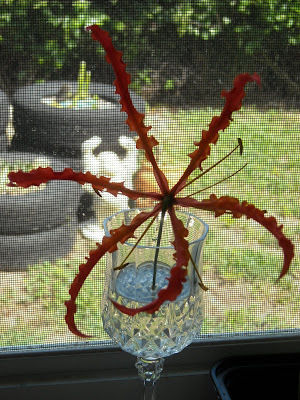 Here is one of my gloriosa flowers from the wild ones in my backyard! It has lasted a week so far...I wonder how long it will go. This has to be my favorite flower...so spectacular and of course, contains my favorite color as well. Yeah! 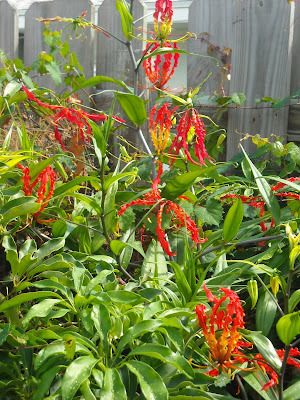 Here are the wild plants outside! 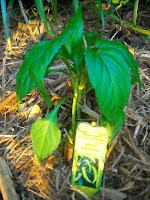 Hopefully tomorrow I can show you my newly planted peppers! Hello! I am celebrating now, in the early morning hours, because I just reconnected to the internet after 3 days of no service! ATT was having some sort of problems and I was having heart attacks not being able to read e-mail or my blog, or any of yours!!! I hope I am back to stay now again! I will be trying to read all of the blogs this morning or at least by tonight (gotta work today too)! Hope everyone is doing well. Isn' t this a beautiful fall arrangement??? I found it HERE. 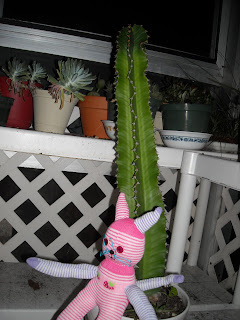 Kitty loves Cactus/Succulent Monday too!!! Since creating kitty (see last post)...more of her personality is coming out! 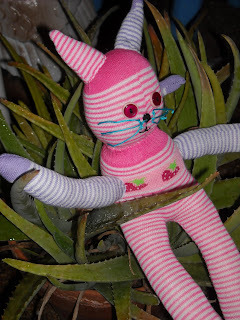 Not only does she like mooning people, and eating Doritos chips...but now I find her playing in the succulents! I guess she is trying to tell me that she is a fan of Cactus Monday too!!! WOW! 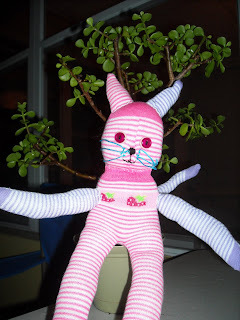 I got out the old sewing machine...determined to make a sock kitty. 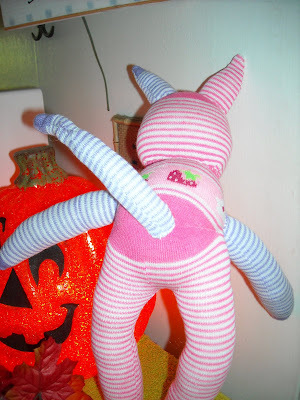 I studied the directions I had found online, HERE, for making a sock MONKEY. I was scared to start cutting, but I finally convinced myself just to try and come up with something...what did I have to lose? I found that I had not bought the correct length of sock, so I had to be a little creative and use two pink socks and 2 purple ones, to have enough material. After that, I knew this would be all fantasy kitty, as you will see with the addition of a peacock blue whiskers!!! Here you can see what type of socks I am talking about. Here is my finished girl...I had her all done (except for sewing on the face details), last night around 1am! I popped up this morning and finished her up! I just HAD TO GIVE HER THESE BLUE WHISKERS!!! I can't really decide if she looks like a cat or a bunny!!! I suppose sort of a little more like a cat. What do you think? Can you think of any good names for her? I think she would look quite parisienne in a little black beret! She can be quite naughty...she enjoys mooning people...I just happened to catch her doing this to me this morning. I also caught her eating Doritos Cool Ranch flavored chips in the early morning hours! What a cat! I will have to keep my eyes on her, for sure! I am sitting here with Doozey Dog, all alone with hubby and daughter asleep! The hum of the a/c was a little too quiet, so I turned on Anderson Cooper for some company! I really hate watching the news, but every once in a while I will. Too depressing. Today I finally watered all of my little succulents in the screenroom with a half strength liquid indoor houseplant fertilizer. They seem to like it. While doing that, I decided to switch out my kitchen window plants (which had been the ones Claude had sent me)...I moved them out into slightly higher light, and decided to bring in my absolutely GORGEOUS variegated gasteria! Doesn't it just look so exotic? It has grown so much on the past year...(well...very slow growth, but yet steady). I think it has a sort of classical beauty...like a rose. It just seems so pleasing to my eye. I have a real love for this one! Here is something fun that I ran across tonight! 10% of proceeds go to animal shelter. These sock animals are a sort of new passion for me! I saw a book at Micheals Craft store last night and was very excited to see animals made out of all sorts of crazy socks! 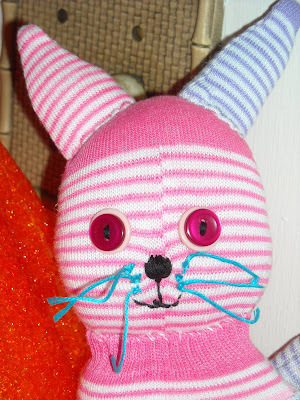 Then I found this gal, who makes them for the animal shelter. Alright...that is a great cause! You can see them here at Adopt a Sock. Hope you enjoy! 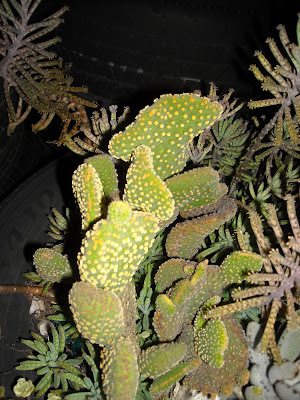 Thought I would show you my otherworldly Huernia schneideriana (best guess, anyway). 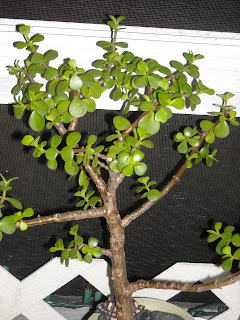 It has taken so long to get this many branches on it, and length of them...I can hardly wait for it to get as full as the plant I got the first cuttings off of about 6 years ago!!! You can see a little bloom up underneath...the blooms are always down low like that, which is not the best place for them. I miss half, because I never see them (until it is too late). 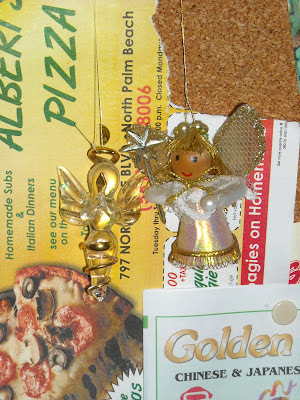 I brought my Huernia into the kitchen to photograph it, and noticed my two little angels that are always hanging around on my bulletinboard...are they not just so cute??? Here are some little artsy footprints made by my granddaughter, Georgia Ann when she was a baby...and they were turned into little bumblebees! Isn't that the neatest idea? I keep them on the refrigerator at all times! And check this out. This pic I also keep on the refrigerator...it is my brother and I (he was 17, so I must have been...hmm...let's see....24)! 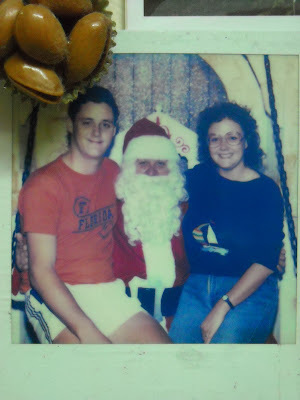 I was living in Gainesville, Florida, and he came up to visit, and we just decided to have our picture taken with Santa...I'm so glad we did...this picture is a treasure!!! Don't you love the BIG glasses!!! LOL! It was around 1980. Thanks for listening...just a few little pissy things that have happened to me this week! 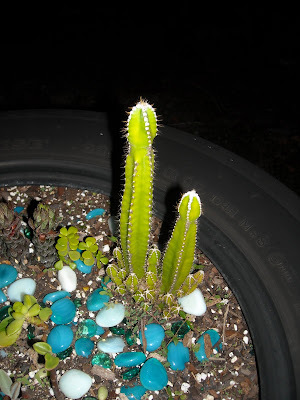 Here are a few more images of my nighttime photo snapping of the succulent tires! 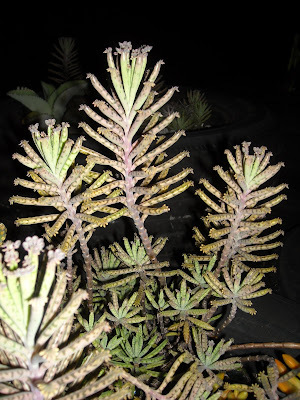 (It was all done the same night...I don't have some strange fetish for picture taking in the dark...) You can see how overgrown the crassula mucosa (Watch Chain) is in the one pic! It is in the 4th pic down on the upper right hand side of pic...the long skinny green stuff....there is actually a lot more of it in there than you can see. I think I will split it up between the tires that need some filling in. It does well in full sun. That is a problem with the tires...a lot of succulents really don't do as well in full sun, I have found that out the hard way...(not like cactus). Whatever hasn't made it out there, gets moved into the succulent hospital in the screenroom. I am happy to say that mostly everything has survived that has gone into the hospital. YEAH! When I can, I will show you some of the survivors! That reminds me...I still haven't watered in there for about 7 weeks now...good grief...why are they all still alive and thriving? Maybe I should be watering way less!!! Sounds good to me! And a couple of Crepe Myrtle trees (one pink, one lavender) found at Target, that I am waiting to plant, when I can decide where I want them! This is not an easy decision...but I think they will definately be able to be seen out a window, for sure! 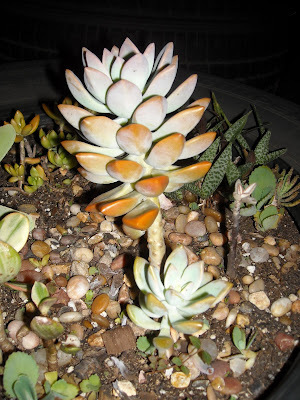 I went out in the night and took these pics (with the flash, of course) of my weeded succulent tires...some of them anyway...thought you would like to see. Well, the one above was of my strawberry jar filled with Mother of Millions! Please excuse that they need new dirt and top dressing...which probably won't happen till it cools down outside. I think these bottom two are my favorite tires...filling in so nicely! The only thing with using the tires for a garden is that I keep losing dirt all of the time...if I did them again, I would do two things differently. I would take something like a pizza pan with holes all in it to put between the layers of tires (between the top one and the tire just under it anyway)...(mine are 2-3 tires high)...and then put coffee filters all over the pizza plate and then fill with dirt...so I would not be losing soil all of the time. Emily June (Em Em's) and Brent's birthday! We had the joint little birthday celebration tonight. It was a surprise for them. We had gone out to that kids placespace all morning and part of the afternoon, and when they came over afterward, the table was all set up with gifts and cake (well...actually frosted brownies)! The pink side of the "cake" was for Emily...complete with sprinkles, and a number "1" candle. 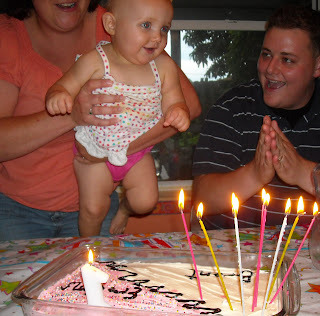 The white side was for her daddy...2 white sparkler candles for 10 years each, and 7 yellow and pink ones for one year each, for a total of 27! 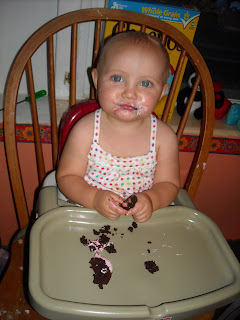 The little princess eats her 1st year birthday cake! 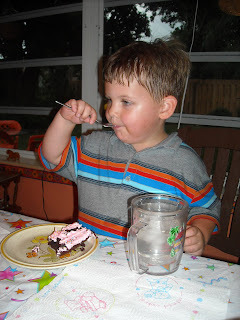 Donovan enjoying the yummy cake too! Succulent tire pics coming soon. 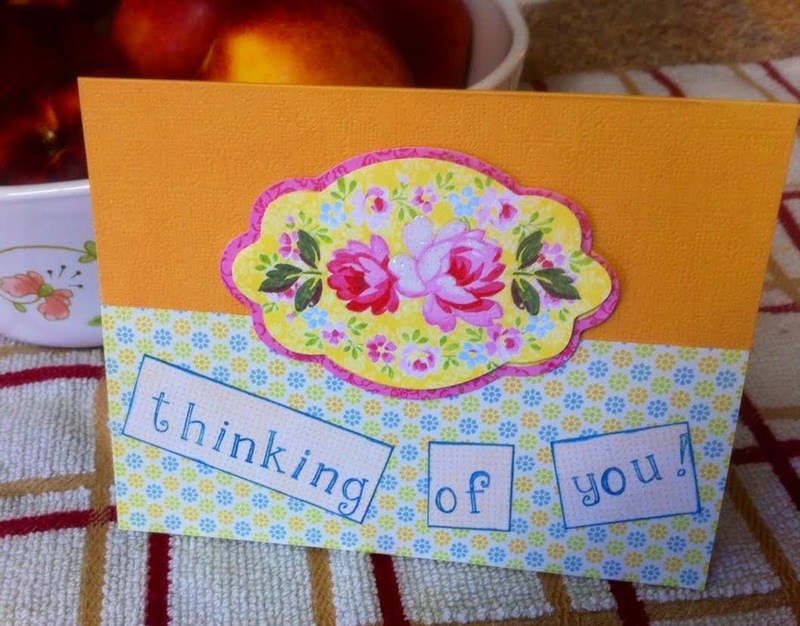 My uploading of pics on Blogger is taking an eternity to do for some reason...so as soon as I can get them up here. The grands are spending the night so maybe by tomorrow night I can get it done! Happy Birthdays planned for tomorrow! Healthy family and cactus too! ATC surprises in the mail!